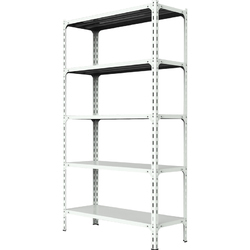 Our product range includes a wide range of donracks supermarket storage shelving. We offer a huge gamut ofStorage Shelveswhich gives more space to display the products. We are the leading manufacturers of these products that are made using quality aluminum, material procured from our reliable sources of the industry. These are designed and made in order to meet the needs of the industrial standards and customized as per the needs of the consumers.